To make a reservation request, you can fill out this form. You will receive a response as soon as possible. You can also send us an email (info@casa-bosco.com). In 2019 we are open from 10 May to 5 October. The minimum stay is 3 nights in low and mid season and 1 week in high season. Arriving and departing is possible on all days of the week between 15.00 and 22.00 hours (earlier or later in consultation). We would appreciate it if you send us a Whatsapp message about an hour before arrival at Casa Bosco. We will then ensure that we are ready to welcome you. On the day of departure, we ask you to leave the apartment by 10.00 am at the latest (later in consultation). After booking you will receive an invoice for a deposit of € 100, -. For the remainder we will send you an invoice no later than 2 weeks before the start of your holiday, with the request to pay it before arrival, by bank. We ask you to pay cash for on-site services and / or products delivered to you. A reservation can be canceled or changed in consultation with us. If you cancel more than 8 weeks before arrival, the costs are equal to the deposit of € 100, -. In case of cancellation between 8 and 4 weeks before arrival we will charge 50% of the total invoice and after 4 weeks before arrival 100%. If canceled, we will do our best to rent out the apartment again. If this succeeds, we will only charge € 40, – administration costs. 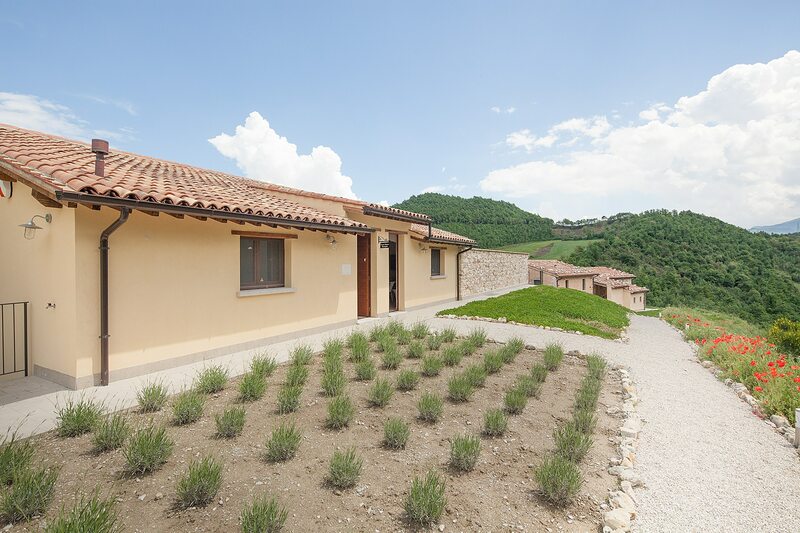 Casa Bosco is located on a hill with beautiful views of the surrounding mountains. As a result, you will find a number of steps and ascending and descending paths on our property. Also three apartments are equipped with a (spiral) staircase. For people who have difficulty walking, this could be a difficulty. In case of doubts you can always contact us to discuss your specific situation. At Casa Bosco the ‘only adults / no kids’ concept applies. This means that our guests must be (approximately) 18 years or older. Smoking is not permitted in the apartments of Casa Bosco. We love animals, but for hygienic reasons and because not everyone shares our love, we decided not to allow pets in the apartments. You can download our complete terms and conditions here (in Dutch).